Kids can bowl free this summer at many bowling alleys across Massachusetts and the U.S.! 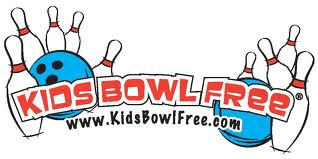 Registered children can bowl 2 games for free each day for a value of $500. There are some program terms and free bowling does not include shoe rentals. For more information about this great program, please visit here.